Mushrooms dishes is one of the most popular and traditional dish on Chinese’s table. 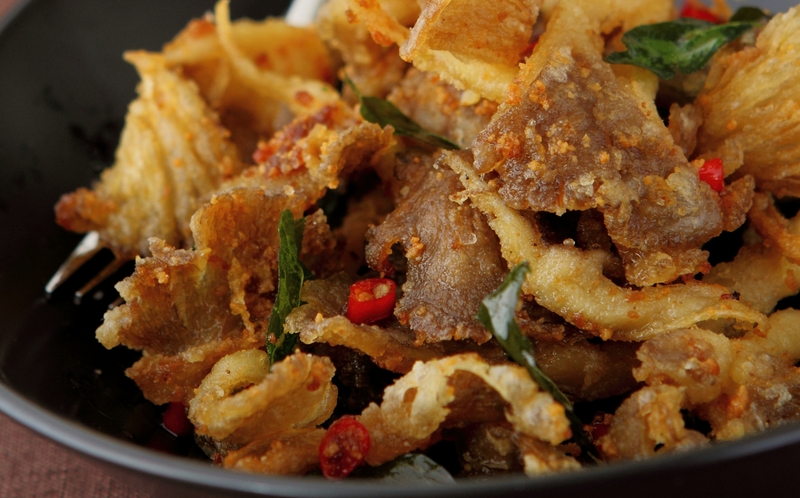 Add some spice to your Chinese New Year meal with these crispy oyster mushrooms. Tear the mushrooms into large pieces, wash and drain. In a bowl, combine flour mixture ingredients and toss with the mushrooms, shaking off excess flour. In a wok, heat cooking oil for frying. Deep fry the mushrooms until crispy, then remove, drain and set aside. In another wok or frying pan, cook margarine and evaporated milk together until the mixture is grainy. Then add in curry leaves, chillies, and mushroom powder or chicken stock and season to taste. Toss the mushrooms in the mixture and adjust seasonings. Serve immediately.